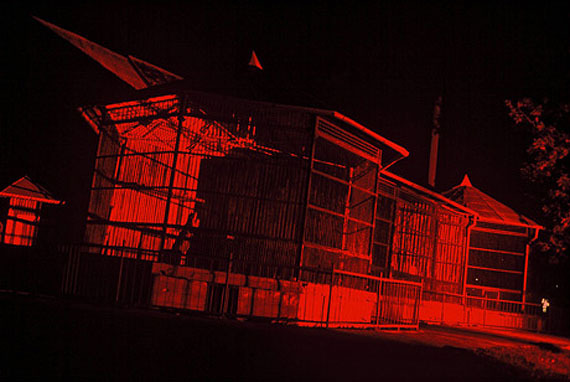 Carl Michael von Hausswolff, Lion cage, From the series Red Zoo. Kaliningrad, 2006, cibacrom print in edition of 5 + 1 ap. Dimensions 70 *100 cm., ©2006 Carl Michael von Hausswolff and Gallery Niklas Belenius, Stockholm.